Most of the terms in cell biology are very difficult to pronounce. 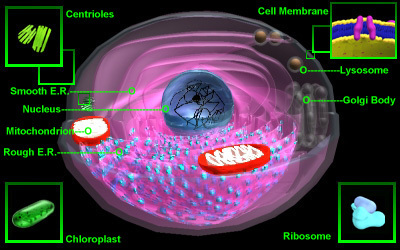 The cell above is an image map. Move your mouse over the different cell organelles and click to hear the correct pronunciation of their name. When you are done use the back button of your browser to return to the cell tour.